So your first app may have been engineered and developed in college, or perhaps with buddies in a basement, but now that an IPO is looming or it's time to go live, you need to inject a bit more structure into your development processes. That's where Project Plan 365 comes in. You can no longer rely on yellow stickies on a whiteboard - you need some decent software! Project Plan 365 helps you formalize software project plans into a tool that you can use for the next release, or to get your baby out of beta, and into the hands of awaiting users - on time and under budget. Download Project Plan 365 and try us out; we've developed this tool for professionals just like you, after all, we are just like you - developers who need more control over time and money spent. Most project management software on the market today is geared towards old-school managers familiar with the waterfall method of PM (think gantt charts and PERT diagrams). Project Plan 365 can handle both this traditional way of managing projects, and also the new way of working within an Agile framework. In fact, we've blended the best of both worlds, the old and the new! 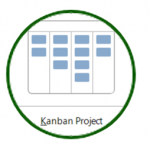 In Project Plan 365 you can setup either Scum or Kanban boards - you get to choose. 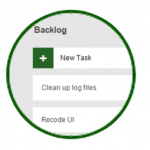 We support everything that you need like task, sprint and backlog boards. 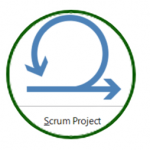 Once your Agile project plan is setup, managing sprints is a breeze. For example, Project Plan 365 calculates the best start / finish dates for sprints based on the first sprint completed. It doesn't get any easier than that! Project Plan 365 is also great for software team collaborations and communication. 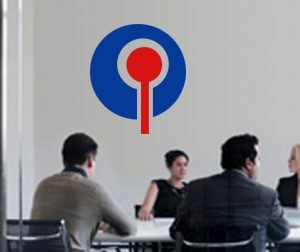 For example, both the team leader and all coders can update boards at the same time, and real-time results are calculated instantly, ready to be reviewed by anyone on the team, or even outside your cubicle farm. Project Plan 365 is also scalable, and can grow as you do, from one developer to a hundred, as we have individual, team and enterprise subscriptions. For small (and nimble) teams Agile teams, we recommend Business (PMO) plan, which comes with private & secure cloud-storage for all of your sensitive project data. A free viewer is also included, and that allows you to share plans with those outside of your team, like compliance and C-level folks. The Housatonic team of certified project managers and software engineers has been around since 2001. Prior to developing Project Plan 365, we did hands-on project planning and scheduling in multiple industries, including Manufacturing, Banking Mergers and Acquisitions, Insurance, Construction, Education and Information Technology. We were some of the first users of Microsoft Project, and early adopters of methodologies standardized by the Project Management Institute (PMI). Housatonic Software even pioneered the development of the world’s first project viewer for MS Project files back in 2001. Our Viewer app allowed millions of users worldwide to save money instantly on Microsoft Project licenses, and view MS project files without the heavy overhead of MS Project. As the Internet exploded (along with everything else app-wise), we developed versions of our product for Mac, IOS and Android. In 2018, we took our now mature platform and added rocket fuel and jet packs; for example, we added subscriptions plans that include our revolutionary real-time collaboration technology (rTc), private & personal cloud storage, and support for Agile methodology. Today, Project Plan 365 is used by hundreds of companies worldwide, and on thousands of platforms and devices, as well as on our own! After all, we are software developers too; so the moral of this story is that Project Plan 365 was built by software developers, for software developers.